Yep, Vince is probably wishing it was a real cajun redhead but it’s just my seasoning – Cajun Redhead. It’s my new favorite seasoning. 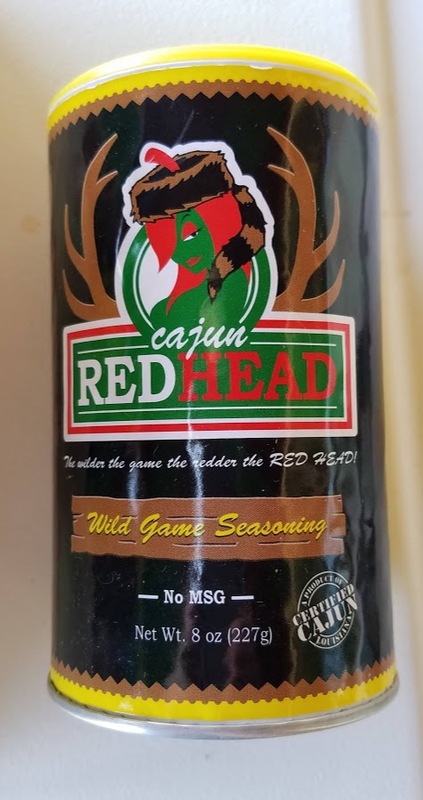 I can’t tell you what’s different from my previous seasoning that I loved but I keep thinking of things I can fix that I can use this stuff on. That’s 12 containers of regular and 3 of their wild game seasoning. I haven’t tried the wild game yet but I’ll take some of that to Chad. They eat way more wild game than we do. 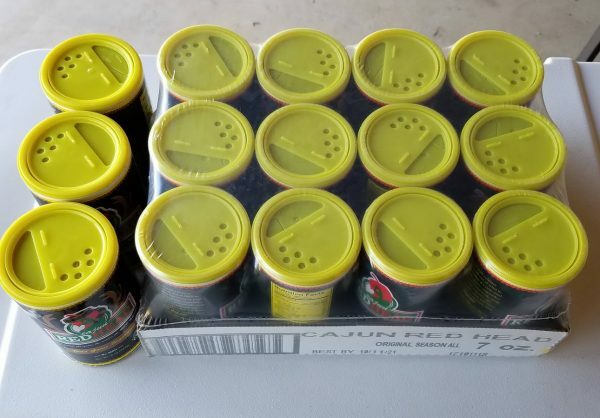 It’s ‘certified cajun’ so you know it’s amazing! No, that would be Cajun Grayhead! 🙂 My hair was a bit red but never as red as I wished it had been. I like the way you buy to last a while! Is that stuff spicy at all, even a little bit?